Begin with the thrills and spills of Orlando's theme parks; from the anticipation of DisneyWorld and Universal Studios, to the wildlife adventures of Bush Gardens and Discovery Cove. 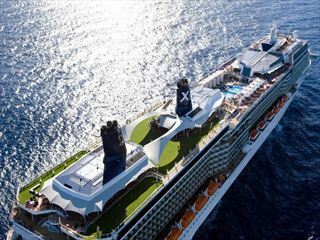 Coupled with a fabulous 7 night Eastern Caribbean Cruise aboard the Celebrity Reflection. With so much to to offer on board, you can do it all......or nothing at all! The choice is yours! Westgate Palace Resort boasts a highly convenient location at the centre of Orlando, just a few minutes stroll to International Drive, in easy reach of the theme parks and the attractions of the city. The apartments are spacious and comfortable, making them perfect for couples or families looking for a relaxed place to stay. Every room has kitchen and laundry facilities, making it easy for you to cater for yourself while in Orlando. 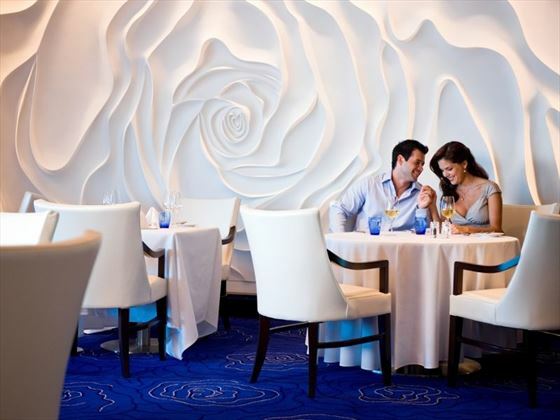 But you’ve also got the option to order room service or take advantage of the resort’s proximity to the great restaurants of International Drive – truly the best of both worlds. 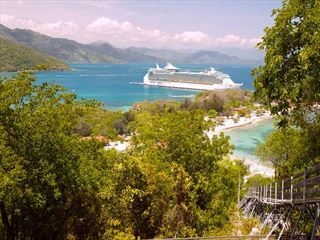 The Celebrity Equinox boasts 13 decks together with many new Celebrity features as well as the best-loved old ones. There are more staterooms, new restaurants and they have expanded the amount of activities available on board. Staterooms are contemporary in design with plenty of space, from the value for money inside cabins to ones which have balconies and numerous suite types. All are comfortable and offer a haven at the end of a busy and exciting day. There are many different dining options on board. Speciality dining is a feature, with many different options available in addition to the main dining room. These include The Lawn Club Grille featuring barbecue style fare; Qsine offers dishes from around the world and The Porch which features fast, fresh food for breakfast and lunch. Fly to Orlando and on arrival collect your car and drive to the Westgate Palace where you will spend the next 7 nights. Explore Orlando and experience the attractions of this amazing place. 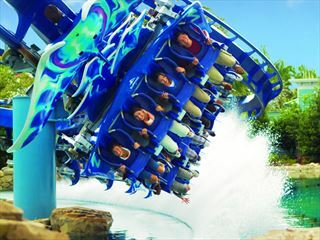 Visit Universal, SeaWorld and Walt Disney World for thrills and spills. If shopping is your thing try out Florida Mall and get some last minute bargains before you join your cruise. If you prefer a more relaxing time the hotel pool is perfect for sunbathing by and enjoying a cold drink. After checking out of the hotel you will drive to Miami port to drop your car and board the Celebrity Equinox for your Eastern Caribbean cruise. Departure is at 15.30 this afternoon. Our port of call today is Philipsburg, St Maarten, arriving at 09.30 this morning. 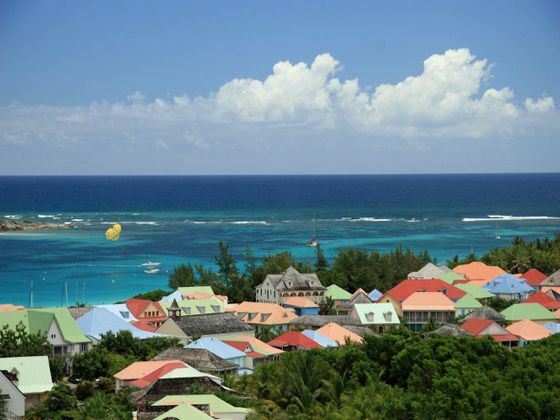 With an area of only 37 square miles, the island of St. Maarten is the smallest landmass in the world to be divided between two governments. The southern Dutch half offers casinos, duty-free shopping and island culture. The French half is all subdued sophistication. 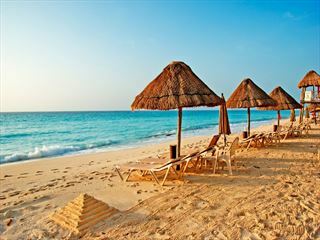 Whichever part you visit, you will be seduced by the warm sunshine, breath-taking scenery and powder white sands. Explore the hills on a zip line or on horseback, savour the local cuisine from a barbecue grill or simply relax the day away. Departure is at 18:00 this evening. This morning your ships arrives in Bassetrre, St Kitts, a beautiful island that offers the Caribbean in microcosm – stunning sandy beaches, lush tropical greenery and gorgeous sunshine year round. Some of the most amazing activities here take you to see the natural beauty of the island; hike a rainforest trail to the top of a volcano or snorkel in the clear sea around Smitten’s Bay. Departure is at 17:00 this afternoon. Arrive back into Miami at 07:00 this morning. After disembarking the ship, transfer independently to Miami International Airport for your return flight home. Prices correct as at 6pm on 18 Apr 2019. Please call for final price. Prices are per person based on 2 adults sharing a room. Other durations available - call for quote. Sunday departures . Prices are based on 2 adults sharing. 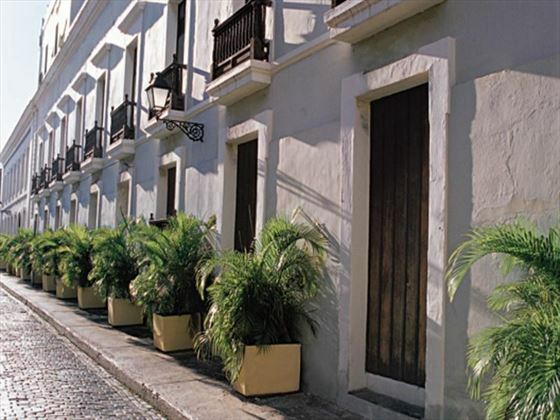 Prices exclude transfers, but include cruise taxes. Supplements may apply on certain dates during peak travel periods. Please ask your travel advisor for transfer and car hire options. This luxurious cruise ship makes a perfect home-from-home on the waves as you explore the ocean. 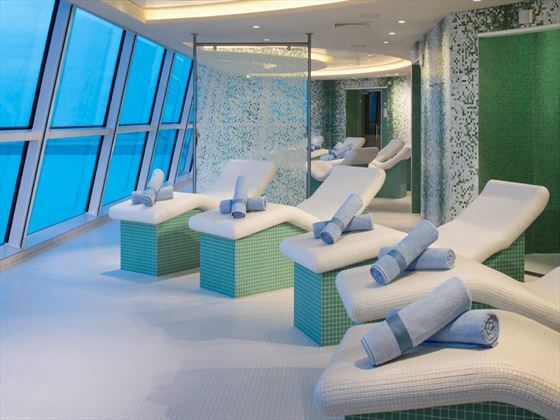 A high-end, luxurious ship, the Celebrity Reflection is a contemporary setting for one of the most spectacular cruise experiences you’ll ever have. Combining classic and modern features, you’ll benefit from the best of both worlds here – there’s a brilliantly relaxed vibe as well as an expansive list of activities for when you’re looking for something a bit more lively to fill yours days. There’s an indulgent spa and varied dining options, as well as a casino, theatre, nightclub and a great activity programme for younger guests.